Orlando City began playing in Major League Soccer in 2015. You won't find cheesy kiss cams or cheerleaders here -- just 90 minutes of non stop action and thousands of screaming fans dressed in purple, screaming their lungs out to create an atmosphere you will never forget. So put on some purple and soak up the atmosphere as you watch the world's most popular game in the world's most visited City. Orlando City Soccer Vs Toronto FC - 4th May 2019 Join the Purple Revolution. Soccer. Football. Fútbol. Call it what you like, the Beautiful Game has arrived in the City Beautiful. Orlando City began playing in Major League Soccer in 2015. 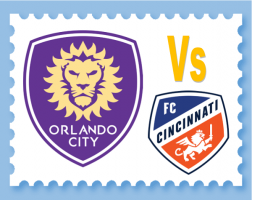 You won't find cheesy kiss cams or cheerleaders he..
Orlando City Soccer Vs FC Cincinnati - 19th May 2019 Join the Purple Revolution. Soccer. Football. Fútbol. Call it what you like, the Beautiful Game has arrived in the City Beautiful. Orlando City began playing in Major League Soccer in 2015. 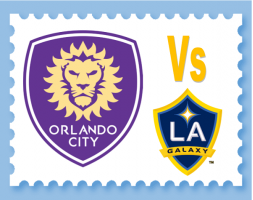 You won't find cheesy kiss cams or cheerleader..
Orlando City Soccer Vs L.A. Galaxy - 24th May 2019 Join the Purple Revolution. Soccer. Football. Fútbol. Call it what you like, the Beautiful Game has arrived in the City Beautiful. Orlando City began playing in Major League Soccer in 2015. You won't find cheesy kiss cams or cheerleaders ..
Orlando City Soccer Vs Philadelphia Union Tickets - 3rd July 2019 Join the Purple Revolution. Soccer. Football. Fútbol. Call it what you like, the Beautiful Game has arrived in the City Beautiful. Orlando City began playing in Major League Soccer in 2015. You won't find cheesy kiss cams o..
Orlando City Soccer Vs Columbus Crew Tickets - 13th July 2019 Join the Purple Revolution. Soccer. Football. Fútbol. Call it what you like, the Beautiful Game has arrived in the City Beautiful. Orlando City began playing in Major League Soccer in 2015. 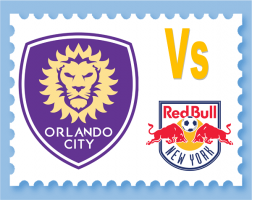 You won't find cheesy kiss cams or ch..
Orlando City Soccer Vs New York Red Bulls Tickets - 21st July 2019 Join the Purple Revolution. Soccer. Football. Fútbol. Call it what you like, the Beautiful Game has arrived in the City Beautiful. Orlando City began playing in Major League Soccer in 2015. 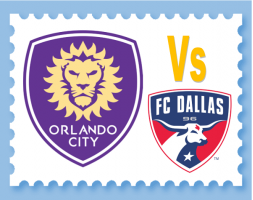 You won't find cheesy kiss cams ..
Orlando City Soccer Vs FC Dallas - 3rd August 2019 Join the Purple Revolution. Soccer. Football. Fútbol. Call it what you like, the Beautiful Game has arrived in the City Beautiful. Orlando City began playing in Major League Soccer in 2015. You won't find cheesy kiss cams or cheerleaders ..
Orlando City Soccer Vs Sporting KC - 14th August 2019 Join the Purple Revolution. Soccer. Football. Fútbol. Call it what you like, the Beautiful Game has arrived in the City Beautiful. Orlando City began playing in Major League Soccer in 2015. 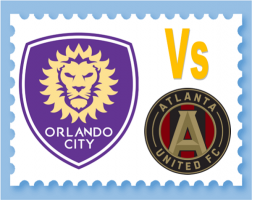 You won't find cheesy kiss cams or cheerleade..
Orlando City Soccer Vs Atlanta United Tickets - 23rd August 2019 Join the Purple Revolution. Soccer. Football. Fútbol. Call it what you like, the Beautiful Game has arrived in the City Beautiful. Orlando City began playing in Major League Soccer in 2015. 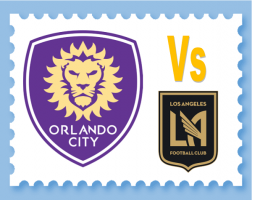 You won't find cheesy kiss cams or..
Orlando City Soccer Vs Los Angeles FC - 7th September 2019 Join the Purple Revolution. Soccer. Football. Fútbol. Call it what you like, the Beautiful Game has arrived in the City Beautiful. Orlando City began playing in Major League Soccer in 2015. You won't find cheesy kiss cams or cheer..
Orlando City Soccer Vs New England Tickets - 14th September 2019 Join the Purple Revolution. Soccer. Football. Fútbol. Call it what you like, the Beautiful Game has arrived in the City Beautiful. Orlando City began playing in Major League Soccer in 2015. You won't find cheesy kiss cams or..
Orlando City Soccer Vs Chicago Fire Tickets - 6th October 2019 Join the Purple Revolution. Soccer. Football. Fútbol. Call it what you like, the Beautiful Game has arrived in the City Beautiful. Orlando City began playing in Major League Soccer in 2015. You won't find cheesy kiss cams or c..